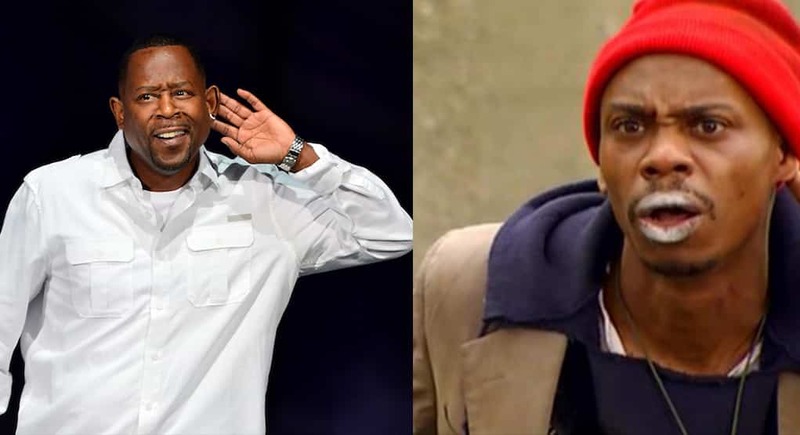 Martin Lawrence and Dave Chappelle have been chosen as the hosts the upcoming Def Comedy Jam 25th anniversary special. According to various reports Russell Simmons is filming a Def Comedy Jam 25th anniversary special for Netflix, which will be hosted by bad boys, Martin Lawrence and Dave Chappelle with special performances by Mike Epps, Bill Bellamy, Kevin Hart, Tracy Morgan, Craig Robinson, Eddie Griffin, Steve Harvey, D.L. Hugely, Katt Williams, Sheryl Underwood, and Tiffany Haddish. Kid Capri will be back on the ones and twos! Will you be looking for this? Next articleAn Extended First Look at Black Love! A big stroll down memory lane.